Grandma passed away peacefully in her sleep at around one o’clock this morning. Brandon and I spent the evening with her last night, holding her hand, stroking her hair and telling her we loved her and that we wished her a safe journey. She was experiencing some pain, so we gave her some medication to make her more comfortable. When I went to bed at around 10:30 she was resting peacefully. Brandon got up at around 1:30 to check on her and came to let me know she had passed. She looked peaceful at the end. She passed away in her sleep, just the way she wanted to. Regardless of her mental state at the time, this always stimulated some sort of response from her. Last night, a few hours before she passed, was no different. When I asked, she sort of smiled a little. A little later she smacked me in the face with her hand. Not hard…almost playfully. In the end, the Grandma that I have always loved was still in there, playing jokes and making me laugh. So…this chapter of my life is officially over. My commitment to keep Grandma at home through the end has been fulfilled. I have a deep sense of gratitude for the time I got to spend with her. I know it’s going to take a lot of time to process the last two and a half years. It’s been an incredible journey, bookended by the death of my Mother and the death of my Grandmother. I put my life on hold and took what had up until that point been a fairly selfish existence and learned how to be selfless. It hasn’t been easy, but I’ve had an amazing support network of friends, and at the end the amazing folks at Providence Hospice were the anchor that kept me grounded through some emotionally trying times. I’ve also learned that I have strength I never knew I had. We all do, if we trust it. I’m grateful that my brother was able to be here with me at the end. I know it’s what Grandma wanted, and I’m so thankful for his presence here now. I want to thank all of the folks who’ve read and commented on my blog. I’ve appreciated your stories, wisdom and support as I’ve navigated this process more than you know. Hug your loved ones. Hold them close. Tell them you love them but more importantly show them through your actions. 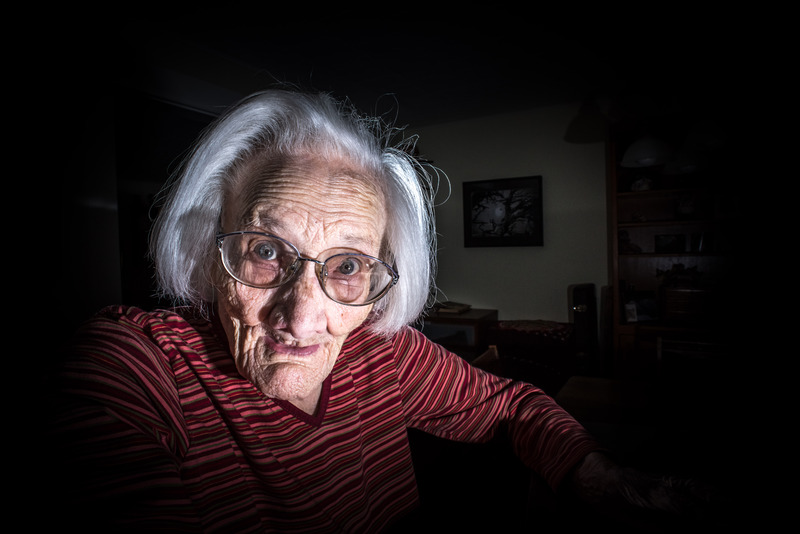 This entry was posted in Aging, Caregiving, Day to Day and tagged 101, aged, ancient, care, caregiver, caring, death, emotional, emotional toll, exhaustion, grandma, grandmonster, grandmother, independent, life, senior, sense of humor, smiley face on October 24, 2013 by Rob Jones.